Mitakihara Magi Football: Mitakihara and Alabama to play...in Rome!? Mitakihara and Alabama to play...in Rome!? Mitakihara University announced that they will be playing the 2068 season opener against the University of Alabama in Rome, Italy, in a special press conference held outside the Stadio della Roma, the home of Serie A powerhouse AS Roma. "On behalf of Mitakihara University, it is my honor to announce that, in conjunction with AS Roma and owner Mr. Giacomo Sorisini, the mayor of city of Rome, the honorable Mrs. Maria Graziani, and the president of the University of Alabama at Tuscaloosa, Dr. Edward Chianese, the University of Alabama Crimson Tide will face the Mitakihara University Magi at the Stadio della Roma on Saturday, August 25, 2068," said Mitakihara University Vice-Chancellor, Ms. Hozuki Ferrari in English and Italian. "This will be the opener to the 2068 college football season. "Mitakihara and Alabama are two of college football's most storied football programs, with legendary coaches in Tatsuya Kaname for Madoka and Bear Bryant for the Crimson Tide. It is only fitting that two programs steeped in tradition and success play for the first time in a venue that evokes images of the ancient Colosseum, built more than two millenia ago. Now, it's time for Italy to experience the emotion, the intensity, the power and pageantry of college football. This is your game, Rome and Italy. Enjoy it." "I'm excited for everyone at the University of Alabama to play in such a wonnderful city as this with the powerhouse of powerhouse," said Dr. Chianese. "Although the outcome might be certain, you never know. The spirit of Julius Caesar and his son Augustus may compel Alabama to leave an indelible mark on this country and the world. "I'm looking for a great match, and we look forward to making the SEC and the State of Alabama and all of America proud. We promise to put on a show for all of you. Grazie. Roll Tide." "I don't know which team to choose, really," said Mr. Sorisini. 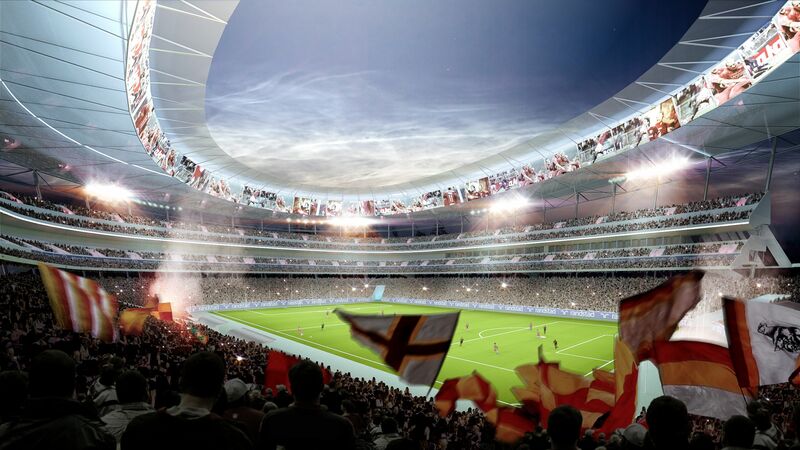 "But it's great to know that our stadium can also host American football games. American football is a wonderful sport and we have a national team that continues to improve at playing the game. We look forward to being wonderful hosts for this momentous occasion." "I already know who I will support in this game," said Mrs, Graziani, dressed in a Madoka track suit jacket. "But I hope for both teams to put on a great show and I hope no one gets hurt. Let there be passion. Let there be exciting play and uplifting drama. But let there not be any injuries in this match. These are two strong, athletic teams that will be playing in the Stadio della Roma, so we look forward to welcoming you all with open arms."